Want to Know Where to Sell Jewelry in NYC? We Buy Gold! Call us now. If you are looking for where to sell jewelry, one of the first places is a local jeweler. A jeweler with experience can provide you with the information you need about your unwanted precious metals and offer you a fair price. Typically, when you visit a local jeweler, you will find that they inspect the item that you have brought to them and they will provide you with a price based on that. One of the biggest problems you may face with a local jeweler is getting to them. Often, you need to have an appointment, or you need to make sure your schedule is free to take the jewelry to them and then wait for it to be evaluated. If you are in a rush or you want to unload that unwanted jewelry immediately, then a local jeweler may not be the right choice when you ask where to sell jewelry in NYC. Another popular choice for where to Sell Jewelry in NYC is online. Many people explore this option and find themselves in love with the convenience of it. When selling your jewelry online, you are faced with deciding which website is credible and whether you will receive the money. Unfortunately, there are many scams that you need to be aware of, as they can cause you to lose not only your jewelry, but the money for it as well. The biggest downside to selling your jewelry online is that you never know what may happen. While there are many reputable buyers online, you will likely not get a fair price for your jewelry as it is not being inspected and rated by a professional. One of the worst-case scenarios that can occur is when a buyer purchases the jewelry then takes the precious stones out of it and returns it to you. If you want to safeguard yourself and lessen your chances of risk, then selling your jewelry online may not be the best choice for you. DD Buyers is your local source for where to Sell Jewelry in NYC. We are committed to complete satisfaction. If you have unwanted jewelry, you have come to the right place. We will provide you with a fair offer for your valuables and we are licensed in NY to sell and buy your jewelry. 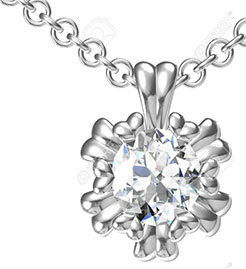 When you work with our team, you will receive the following: •	Explanation of your jewelry and what it is •	Expert advice from our jewelers •	An estimate of what your jewelry is worth •	An offer for your jewelry DD Buyers is known for paying the MOST CASH on the spot for gold, silver, coins, watches, and all unwanted jewelry. Our process is not only safe, it is done in privacy too, so that you never have to worry. Our trustworthy and licensed company is here to help you and we cannot wait to see what type of jewelry you have in hand. Call us today at 646-736-7321 to get a FREE appraisal. We also buy gold watches, platinum jewelry, silver jewelry, and diamonds.